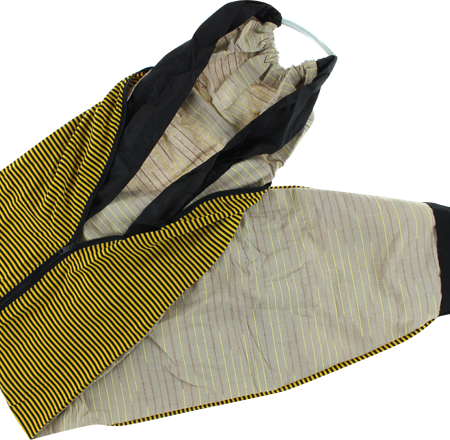 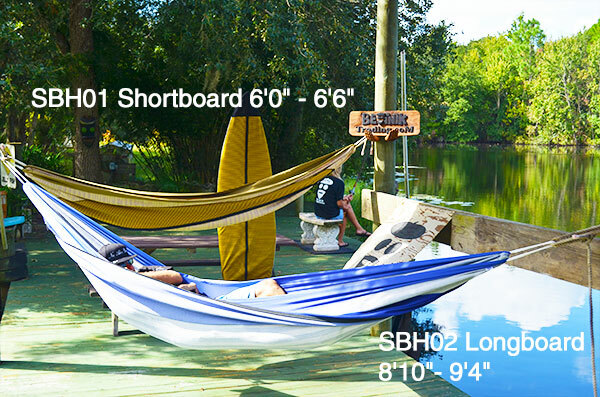 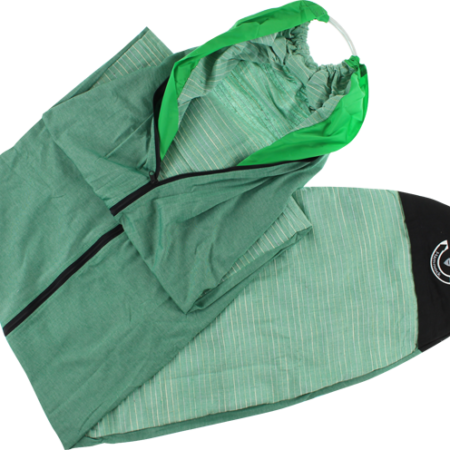 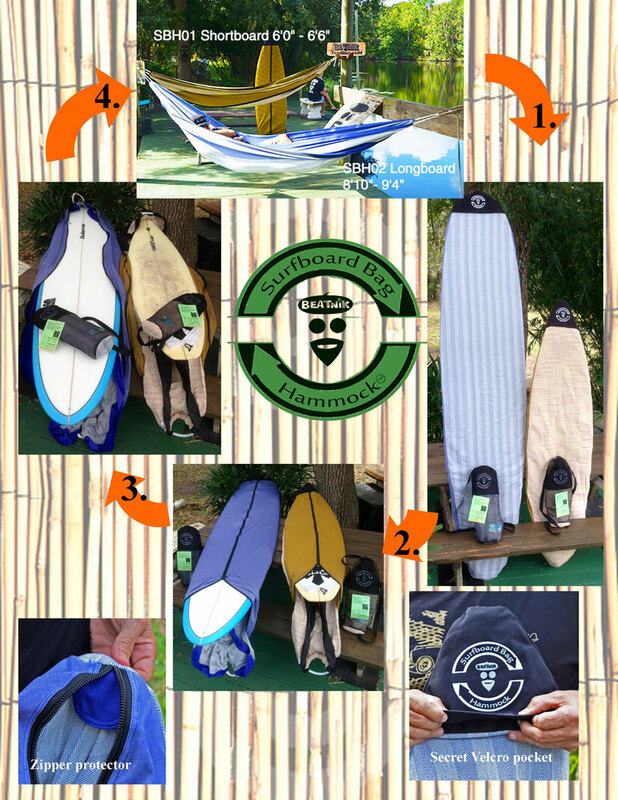 Super fun Hammock & Surfboard Bag in One! 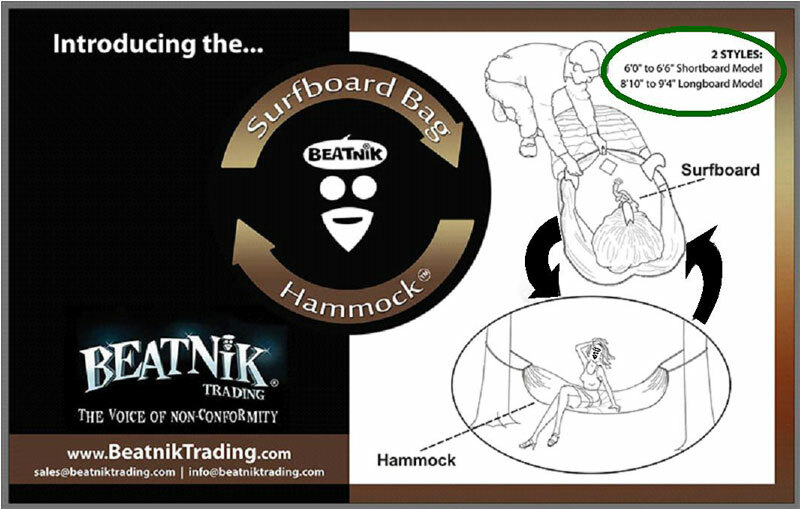 Copyright © 2019 Beatnik Trading, Inc., All Rights Reserved. 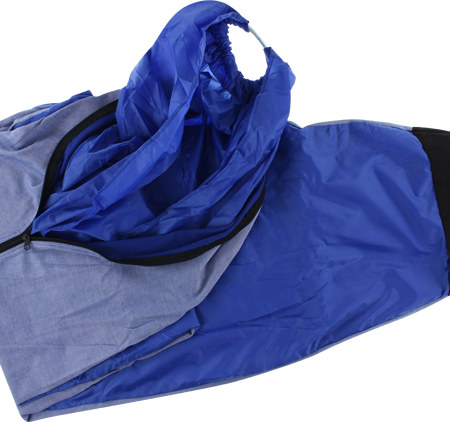 | Website Hosting by K.Tek Systems Inc.